We correct the cause, not just the symptoms. In the current health care market, the eliminations of symptoms seems to be the status quo. At Budincich Chiropractic correcting the cause of the symptoms is the standard. The symptoms are the result of a problems. The symptoms are your body's way of alerting you to a problem. Treating only the symptom is easy but temporary. Finding the cause of your problem takes more work and we are dedicated to finding your unique solution for your unique condition. We help you get the results you want, not the results you don't want. According to the American Medical Association over 100,000 people die each year as a result of the treatment they received! Over 2 million people are hospitalized due to adverse reactions to treatment, such as medications they receive. At Budincich Chiropractic, the skill of the doctors coupled with the safety record of chiropractic care ensures that the proper treatment be given to you and that you achieve the goals you and the doctors set to obtain. A full service facility allowing immediate accessibility. Your ability to be seen when you want, at the times you are able, makes the clinic user-friendly. We are open early, during lunch, late, and on Saturday, to fit into your schedule. On-site x-ray, physiotherapy, modern chiropractic tables, and patient education material gives you a onestop health clinic. Most if not all new patients can be seen the same day and you will be seen at the time you are scheduled. Skillful, confident doctors, that have the ability to diagnose your problem. The doctors at Budincich chiropractor have 47 years of experience. They have taken the latest continuing education courses to be on the cutting edge of health care. 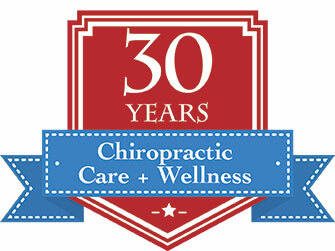 They are constantly involved in discussion groups with other chiropractors and physicians to learn about the most effective ways to provide care. They have the knowledge to determine if your case is a chiropractic case or if a referral is needed. They work with other health care professionals so that you receive the proper care by the correct doctor. Difficult cases are sent to the Budincich Chiropractic Clinic by other chiropractors, medical doctors, attorneys, and people just like you. Specialized tables to keep you out of surgery. One of the scariest scenarios is when a patient is told they need surgery. Disc injuries or degenerative conditions may occasionally need surgery but only after all conservative methods have been exhausted. The specialized tables utilized by The Budincich Chiropractic Clinic are designed to treat and resolve herniated disc conditions. Many times with proper care these conditions resolve, and the outcomes are far better than if surgery was performed. Other types of injuries such as sport injuries respond remarkably to chiropractic care. We have the education and experience of treating many world-class athletes, so that your sports injury also may be treated to get you back in the game. These are a few of the reasons the Budincich Chiropractic Clinic is unique and is one of the busiest clinics in the San Gabriel Valley. If it has been a while since you have been in,it is recommended you pay us a visit to help you add life to your years and years to your life. If you have never been a patient here, we invite you to come experience what thousands of satisfied and healthy patients have been saying for over 17 years, "Chiropractic Works" and Budincich Chiropractic does it better than anyone else.